This is a fruit display I did for Independence Day. 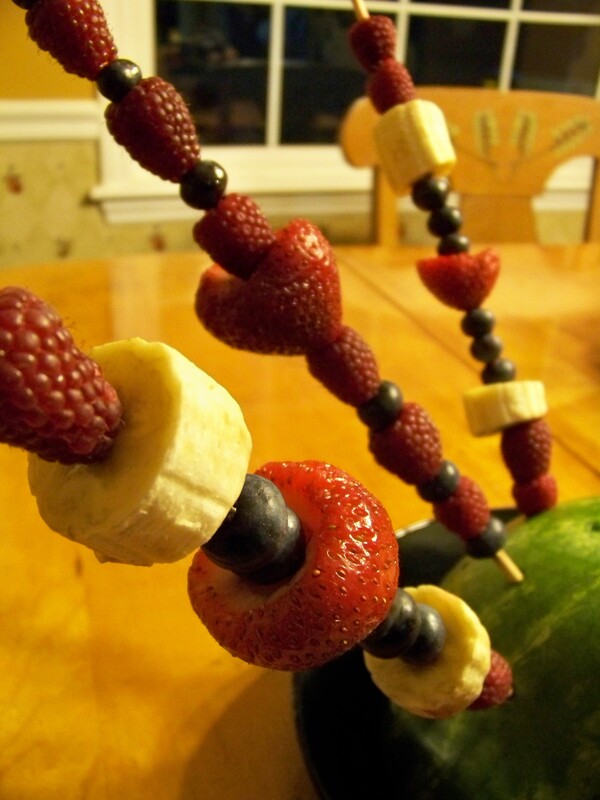 I took strawberries, blueberries, raspberries, and bananas and skewered them in various patterns. Then I cut the lid off of a watermelon and placed it green side up. Then proceeded to stab each skewer into the watermelon lid. They were very easy to remove and you didn’t have to worry about fruit getting smushed while it is lying down on a plate. On top of that….made a nice display. Previous Post My Favorite Appetizer!